So we all know how amazing Apple is, right? Of course we do, that’s why we are all so willing to shell out a ridiculous amount of money for the tiniest of iPhone upgrades, despite the fact that Apple products do come with their fair share of inconveniences! One of those inconveniences comes in the form of their iPhone backup system. Apple gives you a pretty cool option of backing up your data to iCloud or iPhone. The catch? The backup files are encrypted in such a way that you can’t access the data! You can only access the backup if you download the whole file into your iPhone. This means that to retrieve a few pictures or messages, you might have to completely reformat your iPhone! Now this is where this article comes in. 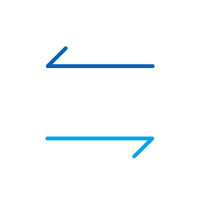 This article will help you fix this problem of accessing backup files, using a helpful iPhone backup extractor. “What’s an iPhone backup extractor” you ask? Read on and you’ll find out! Part One: Everything you need to know about iPhone backup extractors. What is an iPhone backup? 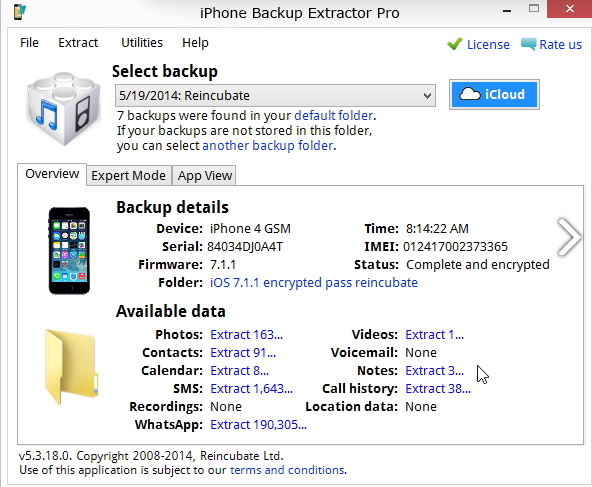 What is an iPhone backup extractor? Without getting into the technicalities, an iPhone backup extractor locates and reads your iTunes or iCloud backup file. It can then allow you to view and extract all that information from the backup file individually. What makes an iPhone backup extractor awesome? It needs to be compatible with all different iOS devices and iOS versions as well. This is important because Apple keeps introducing new upgrades and your iPhone backup extractor should keep up. An ideal iPhone backup extractor should be able to recover data from iTunes backup, iCloud backup, and even from the iPhone directly. It should be elegant, simple, and easy-to-use. 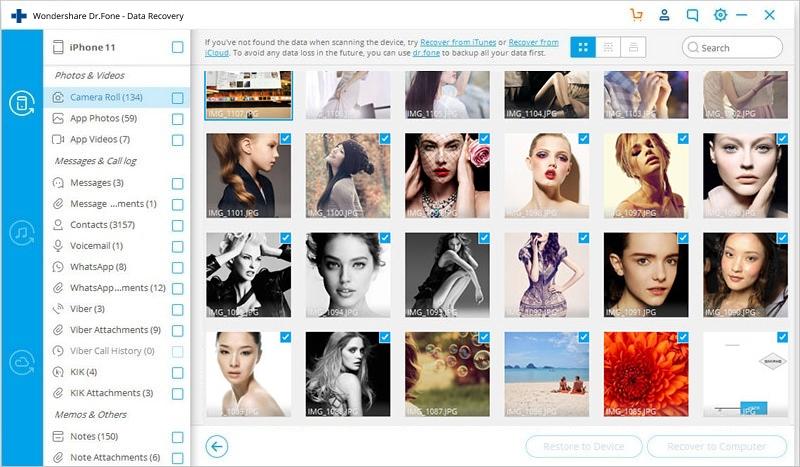 An ideal iPhone backup extractor would have a gallery you can navigate as well. So based on the criteria we’ve listed out we’ve found that dr.fone - Recover (iOS) is the best iPhone Backup Extractor. 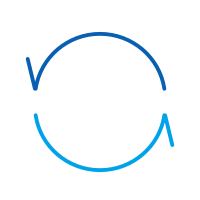 dr.fone has been introduced by one of the most reliable software enterprises - Wondershare, which is trusted by millions of people around the world and has been featured in the pages of Forbes magazine several times! So you know you’re in good hands. 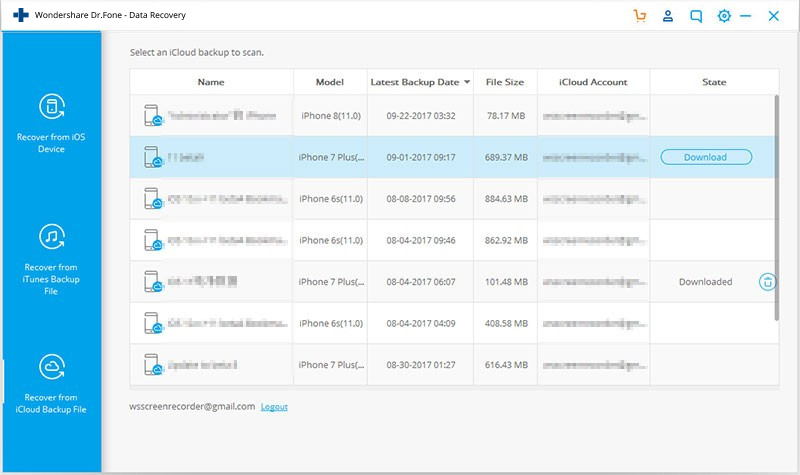 It serves as an iPhone Backup Extractor that can retrieve data from iCloud backup files, iTunes backup files, and it can even scan iPhone and recover data directly. 3 ways to extract data from iPhone! World's 1st data recovery software with highest recovery rate in the industry. Extractor data directly from iPhone, iTunes backup and iCloud backup. 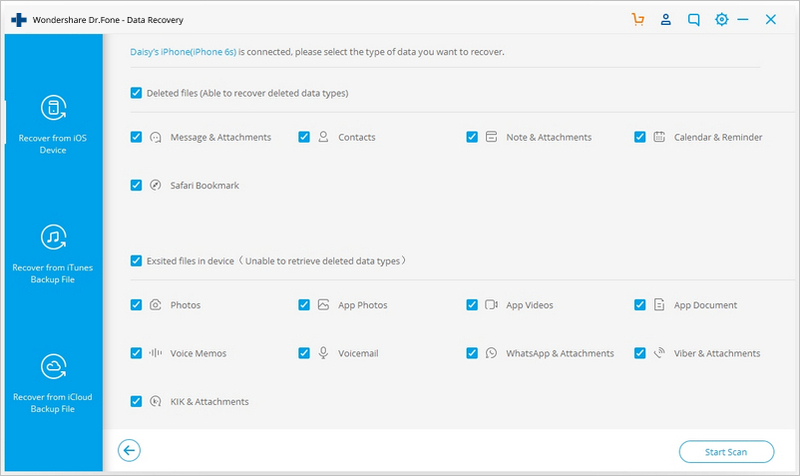 Recover data lost due to deletion, device loss, jailbreak, iOS 12 upgrade,etc. Works for all iOS devices. Compatible with the latest iOS 12. 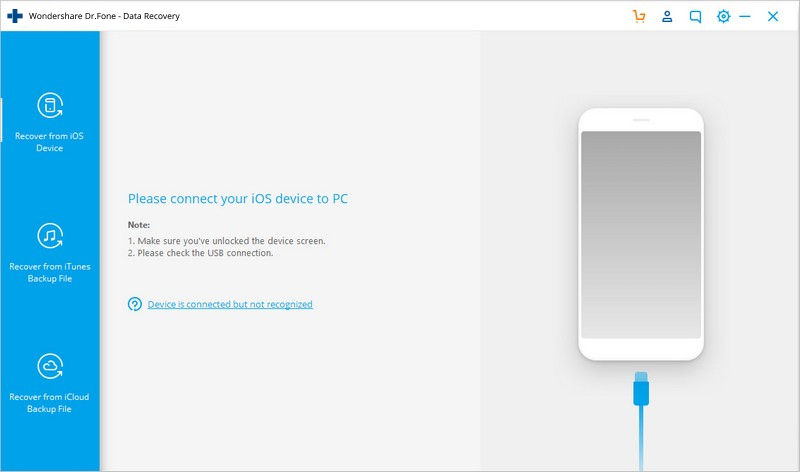 Fully compatible with Windows 10 or Mac 10.14. Method 1: Extract Files from iTunes Backup. Step 1. Choose the Recovery Type. Step 2. Scan the backup file. Make sure that you choose the correct backup file. You can go through the details of each backup file, such as size, and date, to find out which backup file is the latest. 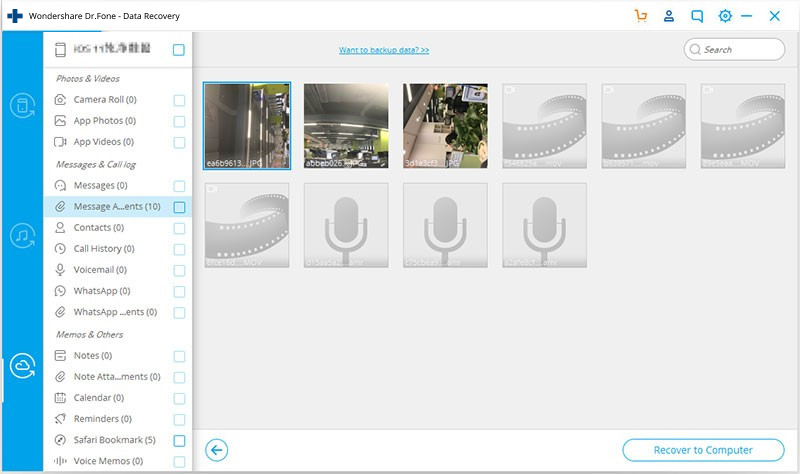 Select it and then click ‘Start Scan.’ After that you can get rid of the unnecessary backup files. Step 3. Browse through gallery. Join millions of users who have recognized dr.fone as the best tool. Method 2: Recover from iCloud Backup File. It is slightly easier to view backup files in iCloud through the iCloud website. However, you can only access things like contacts, mail, Pages, etc. 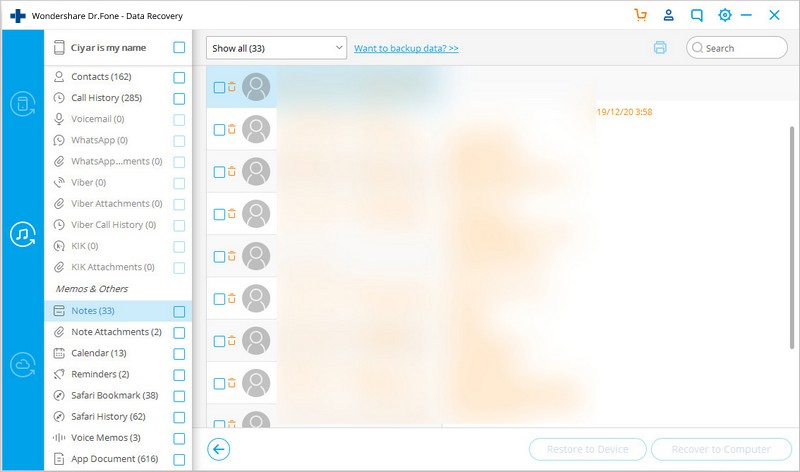 If you want to access all the other information like pictures, messages, voicemails, apps, etc, then you’ll need an iPhone backup extractor, which brings us here. 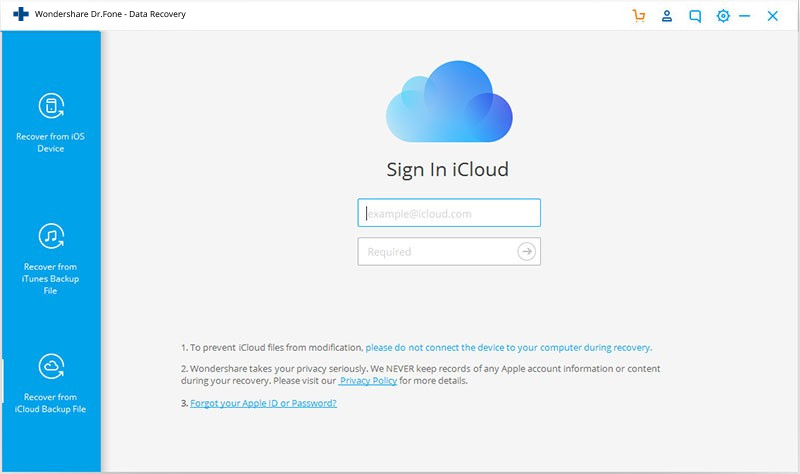 Like in the previous method, when asked about the recovery options, choose “Recover from iCloud backup files.” Now you need to enter your iCloud password and ID to log in. However, this is completely safe, dr.fone is only a portal through which to access your iCloud backup files, only you can access your account. Method 3: Recover iPhone data without backup. This method is meant for people who don’t have a backup either in iCloud or iTunes. In that case you can get dr.fone to scan your iPhone and display all the files presently there, or all the files that have been deleted even. Step 1. Connect your iPhone to your computer so it can be scanned. Download and launch the dr.fone software. Then connect your iPhone to your computer using a cable. dr.fone will immediately detect your device. Step 2. Choose the Recovery Type. Step 3. Choose the file type. Step 4. Browse through gallery. You’ll be able to find a gallery with all the items in your iPhone. You’ll even find all the deleted items. You can select the ones that you’d like to restore and then click “Restore to Computer” on the bottom right. This is another decent iPhone backup extractor which works well with all devices and all operating systems. Within a matter of minutes it can detect all the backup in your iTunes and restore it to your device. However, it does come with a few drawbacks, which knocks it just a little below dr.fone in terms of reliability. Compatible with all devices and operating systems. You can preview the data in the backup file. Some users complain that sometimes it doesn’t detect all the data. The UI design and interface are very primitive and ugly. iBackup Extractor is a very simplistic but efficient software with which you can easily browse all the data in your iTunes backup file and you can easily retrieve data as well, from your iTunes backup and your iOS devices. It even comes with a free trial which can let you extract about 50 items. 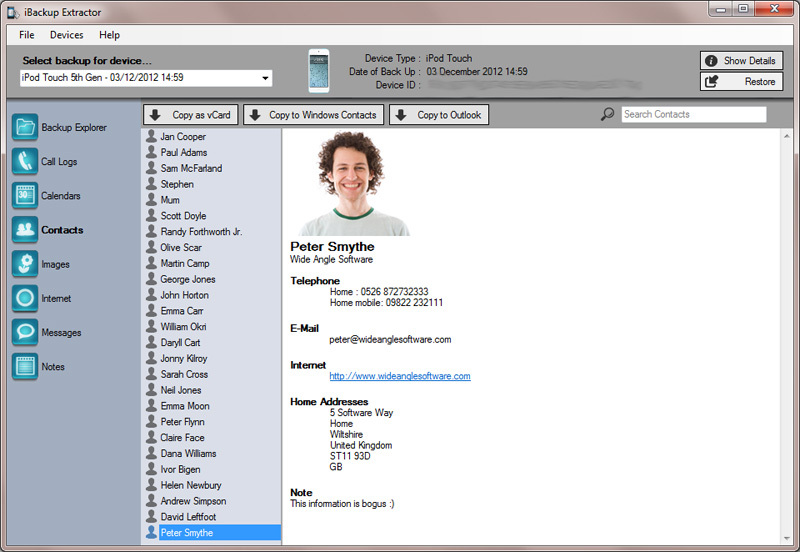 You can even retrieve call logs, messages, mails, etc. Compatible with Mac and PC. Extracting data is very simple and quick. The free demo is worthless. The preview screen is confusing. It has a very high failure rate. So hopefully I’ve been able to give you a good idea about what is an iPhone backup extractor and why you need it. I’ve also listed out the top three iPhone backup extractors according to the criteria listed out earlier. My personal recommendation is dr.fone for all the reasons stated earlier, however you can have a look at them all and make an informed decision. Do let us know if you found this guide to be useful, and if you have any questions leave them down in the comments and we’ll get back to you about it! Do you want to learn how to backup iPhone to Mac or not sure which method is the best suited? Then read the following 4 ways to backup iPhone/iPad data to either of your PC or Mac. 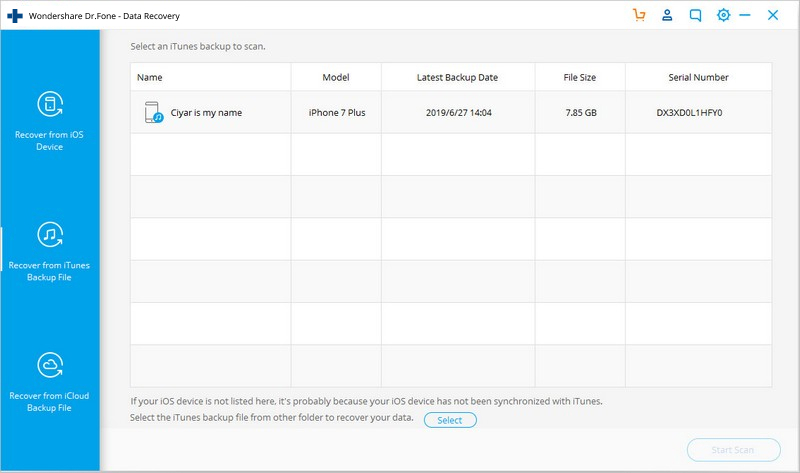 Learn how to backup iPhone to iTunes in this extensive guide. Different step by step solutions to backup iPhone with and without iTunes are also provided. How to backup messages on iPhone? This article shows you 3 ways to backup iPhone messages easily. Read on and choose an ideal way to backup iPhone messages. 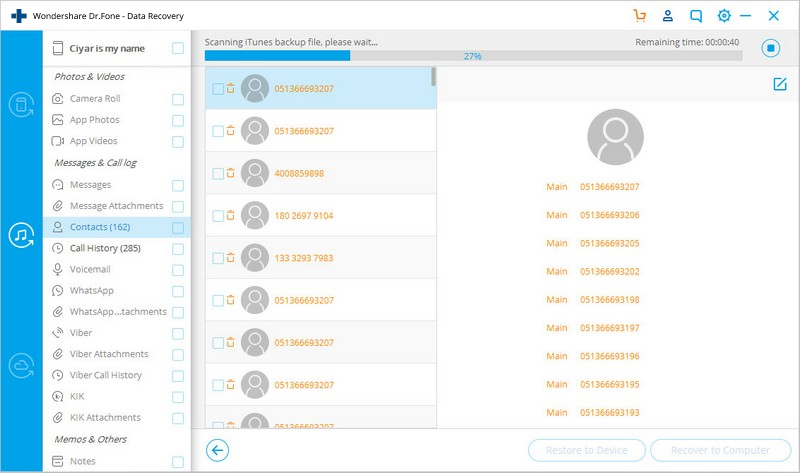 Want to do the iPhone contacts backup? This article will tell you how to backup iPhone contacts and how to export contacts from iPhones (iPhone XS included) in 4 ways. How to Archive and Backup iPhone iMessage & Text Messages? People exchange many messages every day. Some are quite important. Where is the best way for Text Message & iMessage Archive? Find out now in this article. Want to export text messages from iphone? This article presents 3 solutions to help you. You can just relax when you export sms from iphone next time. We're going to take a look at 4 best ways to export photos from iPhone. We hope it will be useful for you to export photos from iPhone. This guide tells you how to back up your recovery mode iPhone in a simple way. Follow it and you can get it done by yourself in minutes. This article tells you how to access your iOS 10 backup files easily, no matter it's on iCloud or in your iTunes. Learn it now! Lost iPhone call log? Don't worry. You can recover iPhone call list directly from iPhone or iTunes backup, including incoming, outgoing and missed calls.